Geotechnical Site Investigation, Land & Measured Building Surveying, Mineral, Waste & Development Planning, Waste Management, Permitting and Environmental Consultants. Silkstone Environmental, founded in 2000, are a Sheffield based consultancy which can offer the following services including Geoenvironmental and Geotechnical Site Investigation, Land Surveying, Mineral Assessments and Planning, Waste Planning, Licensing and Permitting, Topographical and Measured Building Surveying across Yorkshire, Sheffield, Leeds, Rotherham, Barnsley, the North of England and more widely across the UK. 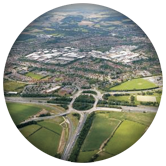 Silkstone employs consultants including Geotechnical Engineers, Engineering Geologists, Waste Managers, Mineral and Waste Planners, Contaminated Land Specialists and Surveyors. The senior partners within the practice have over 50 years of relevant experience from the Mineral Exploration, Geotechnical site investigation, Waste Management, Geoenvironmental and Construction industries across both the UKand overseas. Silkstone works closely with associate consultants, allowing the practice to offer services beyond its in-house expertise. 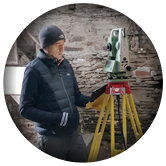 These consist of Mineral Valuers, Ecologists, Civil and Structural Engineers and Acoustic and Vibration Engineers all of whom have assisted Silkstone to successfully complete previous projects. 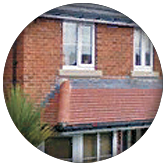 The practice has developed a good reputation within the mineral, waste management, geoenvironmental, geotechnical site investigation, land surveying and construction industries across the Midlands and Yorkshire through the high quality provision of service at competitive rates. Silkstone has also been very successful in acquiring planning permissions and waste management permits for its current clients throughout the Midlands and the North of England and this success is reflected in the growth of the company.